It was great spending time with companies and representatives here in WA talking about the economic strategies, involving application of economic principles and methods related to Tourism. 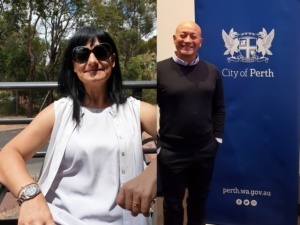 We are happy to put all our effort in The Economy Growth Program – WA, by supporting the Centre of Entrepreneurship at Curtin University in Western Australia. We certainly look forward to further cooperation. Once again thank you very much for the discussion and thanks a lot to all our Followers and Supporters for encouraging UNICA and all the staff to reinforce the core of productivity.